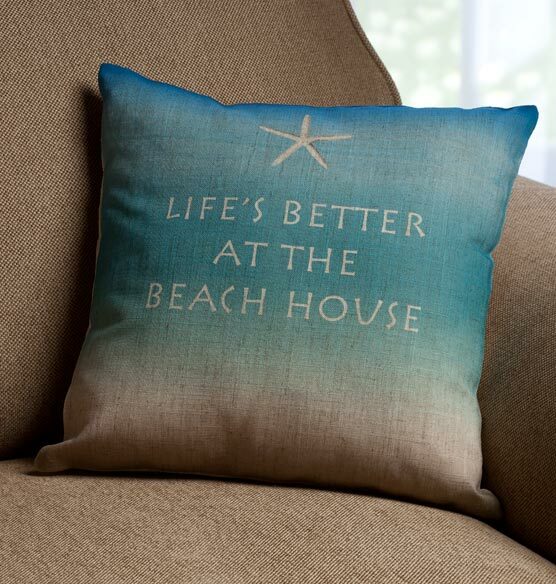 Reminiscent of a warm summer day, toes in the sand, and sunglasses on, the beach house pillow invites you to recall the feeling of being at the beach. Anyone who enjoys the laid-back spirit of the beach will love this unique celebration of coastal life. Perfect as a gift for yourself or as a thank-you for hospitality, this pillow is sure to evoke sun-soaked memories.